St. John's Prep right-hander Jake Sanderson is expected to get the ball in game on. Wednesday afternoon marks the opening round of this year's Division 1A "Super Eight" tournament. A number of intriguing matchups are on the table as No. 8 Walpole travels to No. 1 BC High, the only team with 20 wins in the tournament in Wachsuett hosts No. 7 Franklin, No. 6 Lexington heads up to No. 3 St. John's Prep, and Mansfield on a 15-game winning streak takes a trip to No. 4 Central Catholic. Here are our previews and picks for the four opening round games. You can click here for our full Super Eight primer and tournament picks from yesterday. Preview: If you are looking for the top pitching matchup in the opening round of the Super Eight, you can find it on Morrissey Boulevard. The showdown between No. 1 BC High and eight-seeded Walpole pits two of the top arms in the Bay State against one another. There is no one better in New England than BC High ace Mike Vasil. The University of Virginia bound right-hander has struck out 36 in 18.2 innings while pitching to the tune of a 1.88 ERA. Opposing Vasil is Walpole ace Cam Schlittler, a six-foot five-inch junior committed to Norheastern who has been stellar in his own right this season. Schlittler features a four-seam fastball around 88 miles per hour, a slider, and a cutter. On the year he is a perfect 6-0 with a 0.43 ERA. He has struck out 67 hitters including 34 over his final three starts. Prediction: Schlittler and Vasil match each other pitch-for-pitch in the early going, but the Eagles aggressiveness on the bases takes over helping them scratch out a couple runs in the first few inning. After the Rebels close the gap, BC High opens it up in the late innings to take a game one victory. Preview: For the second straight season, Central Catholic is likely to take the field for the first game of the Super Eight with Nate Carpenter toeing the rubber. Carpenter, the Raiders’ number two pitcher, pitched a gem last year in a win over Xaverian and once again has a tall task ahead of him. Mansfield, expected to counter with right-hander Tyler Dalton, was the hottest team in Massachusetts down the stretch winning its final 15 games. Dalton has been the fulcrum of the Hornets success all season. On the mound he is 6-1 with a 1.70 ERA. In 41.1 innings he has struck out 59 and walked just nine. At the plate meanwhile Dalton is hitting .431 with 27 RBIs and 18 runs scored. Number two-starter Kevin Dow and Dan Saraceno join Dalton on the offensive attack. Central Catholic has plenty of star power highlighted by catcher Dominic Keegan and Steve Hajjar. Despite being unlikely to pitch in game one, Hajjar is a dangerous bat in the Raiders lineup sitting in the cleanup spot. Mike Pierro, Joe Sanchez, and Noah Lucier protect Keegan and Hajjar in the order. Carpenter, meanwhile, is 4-2 with a 1.96 ERA and has struck out 40 in 39.1 innings. Prediction: In a back-and-forth game throughout, Central Catholic manufactures a run in the bottom of the eighth to outlast the Hornets and advance to the winners bracket. Preview: Franklin ace Jake Noviello saved arguably his best outing of the regular season for last, firing eight innings of one run ball in which he struck out 12 in a 6-1 win over North Attleboro. In order for the Panthers to knock off No. 2 Wachusett, they will almost certainly need a similar performance from the Fairfield bound right-hander. The matchup pits one of the best fastball hitting lineups in Wachusett versus Noviello who can touch as high as 90 miles per hour. When at his best, Noviello overpowers opposing hitters with both his pinpoint location and ability to elevate his four seamer when necessary. The Mountaineers lineup, meanwhile, has been as stalwart all season long. Shortstop Mike Maher leads the group out of the top spot hitting .427 on the season. Behind him are centerfield Barry Walsh (.509 Avg. ), catcher Cole Durkan who has five home runs and 28 RBIs, and Francis Ferguson hitting at a .392 clip. Starter Jake Gigliotti has experience pitching in big games this season, getting the ball versus St. John’s Shrewsbury and BC High. Prediction: Noviello is able to incorporate his breaking ball to go with his four-seam fastball in order to keep the Mountaineers hitters off balance in the early innings. The Panthers offense, meanwhile, led by Alex Haba, Jake Macchi, and Jack Nally are able to scratch out a couple runs to give Franklin the early lead. The Wachusett bats wake up towards the end of Noviello’s outing, but Bryan Woelfel comes in out of the bullpen and Franklin grabs the upset win. 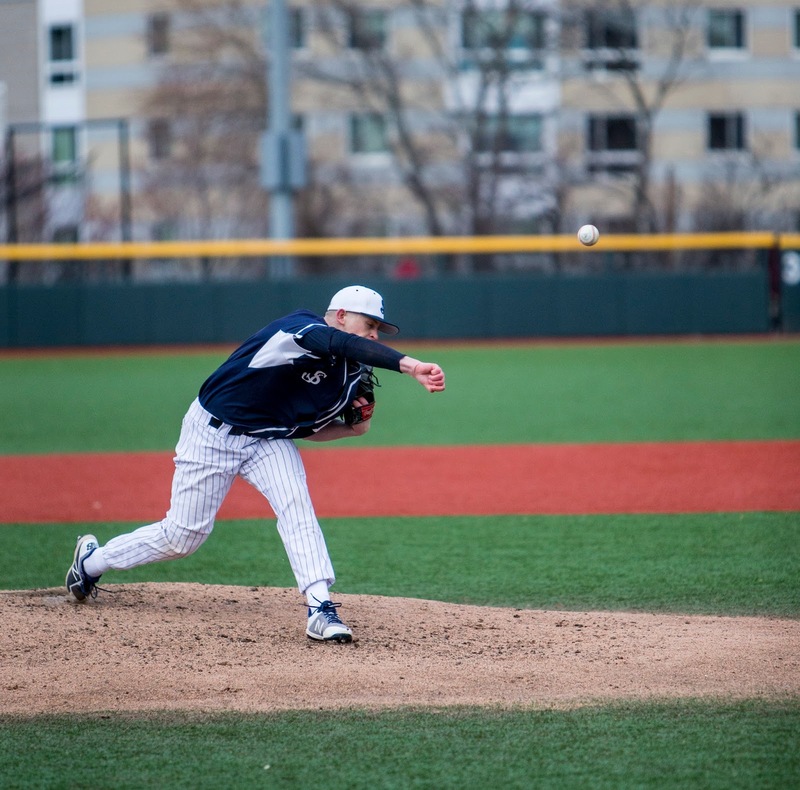 Preview: St. John’s Prep’s Pete Frates’ Diamond is sure known for high run totals when it comes to the first round of the Super Eight. Two years ago, No. 6 Braintree scored 10 runs en route to a win over the Eagles while last season the Prep throttled Newton North, 18-3, in six innings. The Minutemen are hoping to follow the path of the Wamps when they take the trip to Danvers on Wednesday afternoon. Lexington is headlined by superstar shortstop Sal Frelick who can create runs with his power and speed. Jack Pawloski and Nick Planski, who were big for Lexington in the closing stretch, protect Frelick in the lineup. On the mound, the left-hander in Pawlowski is expected to get the start against a St. John’s Prep lineup that features a pair of premiere left-hadned hitters in Tyler MacGregor and Mike Yarin. The Eagles scuffed a bit in the regular season’s closing week but rebounded with a huge 6-3 win over St. Peter-Marian to close the season. Tall right-hander Jake Sanderson is expected to get the ball and if the last few Super Eights are any indication, the Eagles will showcase a bevy of arms in the after him. Prediction: Frelick creates some action in the early going, showcasing flashes of his talents to help the Minutemen get a handful of runs in the opening innings. As Pawlowski progresses through his outing, however, so too the Eagles’ bats and St. John’s comes alive offensively late to escape with a win.